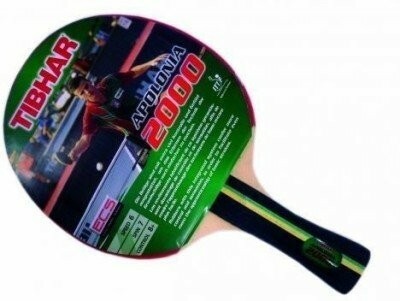 This Apolonia 2000 paddle with rubber from TIBHAR is assembled with Series 2000 rubber with 1.5mm sponge. Good choice for recreational player with allround style. Good control and sensation to facilitate the apprenticeship of basic strokes. 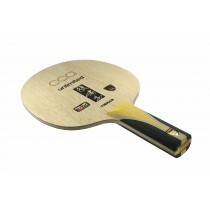 Stylish design on this 5-ply wood blade with flared handle. Rubber is red on one side and black on the other to comply with ITTF regulations.